Looking for a high-end Android phone? 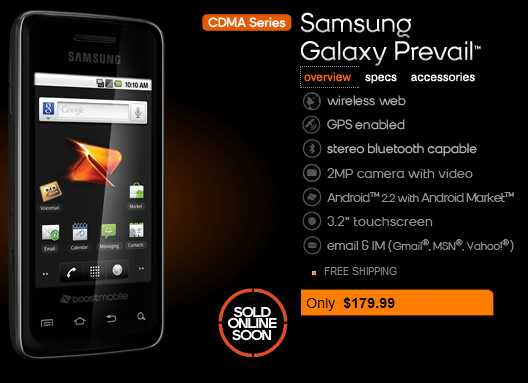 Well, you won't find it in the Samsung Galaxy Prevail which will be launched from Boost Mobile on April 29th. 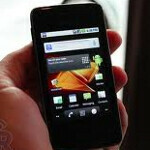 The model is a low to mid-end handset with a 3.2 inch touchscreen and a 2MP camera. There is support for as much as a 32GB microSD card. The Galaxy Prevail is powered by Android 2.2 and and as we previously reported, will be priced at a no-contract price of $179. Whether you are looking for an Android device for your kids or picking up your first smartphone, or just looking to save money, the Samsung Galaxy Prevail should be able to provide you with much of the Android experience while keeping some heft to your wallet. royal weeding? I didn't know they had a specific day planned for setting up the Royal Garden.